Founder / Tech Manager / Lead Investigator. 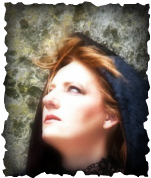 Hi, I am the Founder of Soul Searchers Kernow. I have been carrying out paranormal investigations for over 14 years now after the tragic death of my husband of only 3 months. I have experienced some interesting and unexplainable things and also live in a house that has a resident spirit. I have been on investigations at many interesting places (some of which I am not allowed to disclose) but they have included Jamaica Inn, Bodmin Jail and of course Davidstow Military Airfield and Cornwall at War Museum, for which our team has exclusive access. I manage all the investigation equipment, which comprises Infrared cameras, Electronic Voice Recorders, Electro Magnetic Field detectors, the famous Franks Box and K2 meters and a thermal image camera. Using this equipment and sometimes without it, we have experienced various forms of paranormal activity. However, we keep an open mind on the subject and are always keen to try and debunk anything that happens. Not everything that happens will be paranormal and we have managed to find logical explanations for some occurrences, of course there are times when we cannot debunk an event, which leaves scope to believe it may be paranormal. I treat the spirit world with the utmost respect, after all, they were once people. I am never confrontational with benign spirits, however, I will stand my ground and tend to run towards occurrences than away from them! I'm proud that the team we have are all professional in their approach and are very good at putting people at ease. We are always willing to investigate suspected hauntings in any location, whether its a home or commercial building. If you do have any problems with apparent paranormal activity, then we will happily attend and check out what is going on (free of charge). If you need extra help, we have people we can call upon to assist you. We hope you enjoy the site and if you have any questions then please just drop us a line!